Client Testimonials | 1000s of Happy Customers Worldwide. I think your paintings were the most beautiful of all that collective work of art at Artexpo. They moved me to tears and made my soul shiver. I'm sure that many other react the same way, when they see you work of art among the world. Anna, I want to thank you for the wonderful experience I had when I looked at your paintings. With pride I tell my friends about you and your art. The painting arrived tonight and I absolutely love it!! Please thank the artist for me and I appreciate your patience and graciousness while working with me. Definitely thrilled I went ahead with this special purchase! 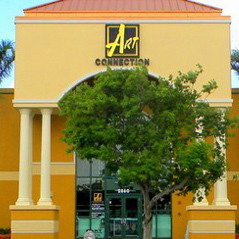 As for a gallery owner, the responsiveness and business skills of our artists is critical and important as the uniqueness and style of the artist. Director Eugene Korchinski is the perfect partnership for Anna, Ivan and the artists he manages. Anna Art Publishing is the most attentive, professional publisher I have dealt with. Inquiries are dealt with quickly and thoroughly. Referrals to the Anna Art website are passed on to the nearest gallery for follow up. Orders are processed very quickly. Personal appearances and shows are handled with professional ease. All this efficiency while at the same time honoring the beauty and nature of the artist's work. I would not hesitate to recommend Anna Art Publishing! I must say, without waffling, capitulating or justifying. The truth is what it is. Your mind, your soul, and your spirit has captured the beauty of God's Creation. May you continue to be enlightened and blessed with your ongoing artistic talent. 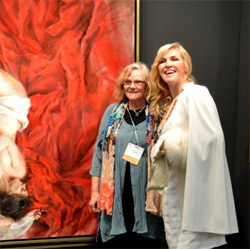 It's always exciting to travel to the New York Art Expo and discover Anna's newest art releases. Her work has been one of the most successful art discoveries we have made. Anna has established a following of enthusiastic collectors which increases with each new showing and we have a steady stream of interest from astute investors. The elements that attracted us to Anna's work are the finely drawn anatomy; the subtle attention given to faces and hands. Her sensitive displays of mood are conveyed by each image, telling a story that is enclosed in a mystery, leaving each viewer to interpret their own tale. We would be remiss not mentioning also the great support we receive from Eugene whose professional skills and assistance are always invaluable. As always, we look forward to continuing to being surprised and delighted by Anna's work. Over the last several years we have purchased no less than six pieces of artwork from you. Each one is a stand alone beautiful piece. From our smallest 24 x 30" to the 72 x 80", each one gives us endless pleasure. I have been collecting art for over twenty years and never have come across an artist as talented as you. Prior to meeting you, I had a self imposed rule that I bought no more than one piece of artwork from any particular artist. You made me smash that rule into little pieces because of the overwhelming beauty of your talent. I look forward to many future acquisitions to proudly hang in my home. After more than a decade of working with Anna Art Publishing, we have only the highest praise for the company as a whole, and specifically for the relationship we have with Anna Razumovskaya as an artist. As a company, Anna Art Publishing's quality and service is by far the best in the industry. They are always proficient, prompt, and most important, trustworthy. As a publishing company they have always remained true to their word in delivering beautiful artwork and backing us up in terms of market distribution, and price integrity. Anna is one of a kind artist. Her art brings a unique interpretation of color and light to bring the most beautiful figurative forms, portraits, abstracts, and florals to life on her canvas. Here at Art Connection we present Anna's artwork with great pride and self-assurance that every one of her masterpieces is exceptional, and represents the best talent in the Fine Art world. 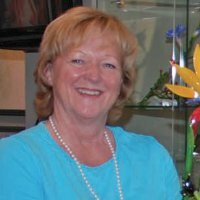 It is her artistic gift, talent, and expression that seems to capture our customers' interest over the years to purchase and collect Anna's artwork. If we had to narrow the selection to a particular style we favor and sell the most of, it would definitely be her figurative female form. They just capture your imagination and seduce you to the emotions reflected in the art. It is only fitting to say that Anna Art Publishing and the fine art they publish make them a constant and vital source for Art Connection. We are grateful for this, and expect to continue this wonderful connection for many years to come.